Make purchases on your XBOX ONE & XBOX 360 cheaply Xbox Gift Card 15 GBP. This product is a digital code, once bought, the code will be sent to your email or can be downloaded directly from your screen. These codes are original and are provided by Microsoft. ATTENTION: The GBP Gift Cards can only be redeemed in combination with UK accounts. If you own an European account, you can take a look at the Xbox Gift Cards EU. Do you have a Xbox Live account and want to deposit a small amount into your account? With the Xbox Gift Card 15 GBP, you can check out if online credit is for you. Upon redeeming your Xbox Gift Card to your Xbox account, you will be able to purchase various products on the Xbox Live Marketplace. There you will find movies, music, series, and expansions. You can find popular games, exclusive for the Xbox consoles, making it unnecessary to go all the way to the store just to buy the newest games. At livecards.co.uk, we offer a various amount of gift cards to be used on British accounts. 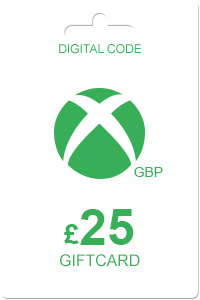 We also offer the Xbox Gift Card 10 GBP and the Xbox Gift Card 35 GBP, and many more so you decide the amount of credit you wish to receive. 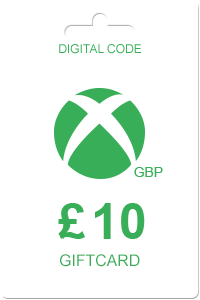 At livecards.co.uk, we offer various XBOX gift Cards. To order your Xbox Gift Card 15 GBP, click order now, select your payment method, enter your email *if using PayPal ensure it is the same email you use for your account*, confirm payment! How to buy Xbox Gift Card 15 GBP? 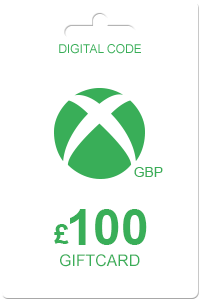 Livecards.co.uk makes buying Xbox Gift Card 15 GBP as easy as pie! All you need to do is fill in your email address, pick a payment method, complete the payment and voila! The code is yours.